Spaera is Greenlit by Steam! Home / Spaera is Greenlit by Steam! After 9 exciting days, Steam has Greenlit Spaera! 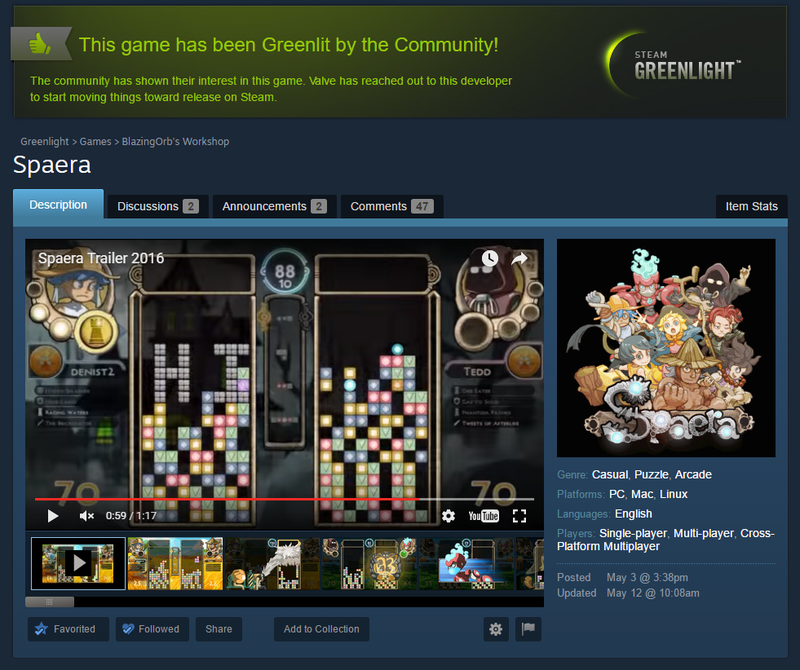 We would like to thank all of you for supporting Spaera’s Greenlight campaign! We couldn’t have done it without all of you. Seriously, without you all, we would only have 10 votes. Yay? What’s next for Spaera? Now that we have access to the Steamworks API, we will be working to get the quality of life features you have all been asking for, such as friend matches, match lobbies, and achievements. In conjunction, we are preparing the game for Steam Early Access, eventually leading to a full release. We are also hard at work fulfilling our ID@Xbox duties for Spaera’s promised debut on Microsoft’s Xbox One. We hope you are as excited as we are! Again, we sincerely thank you all! I’m so excited for this game I literally cried. I played at Evo2015 and watched all the videos. I’m looking forward the this game and add ons. Thank you for all of the effort your team has put into game if there’s anyway I can help support Facebook Instagram, XBL please let me know.